It’s again time of the year to recapitulate. Already while I was browsing through my photo archive to select photos for my 2019 calender earlier this year I was quite shocked how the amount of photo folders declined this year. Here is a little overview of the amount of photo folders which correspondent to occasions where I took photos, over the past 7 years. At least it’s not surprising to me when I think about all the other time-consuming things I’ve been doing this year, like attending a Japanese language class once a week, plenty of training for my first Olympic triathlon this year, finishing a three semester long degree at an online university which required approx. 18h/week and constantly learning new stuff for work in my free-time, while working full-time and still accumulating plenty of over-hours. For next year I can already say that I want to do less different things at once and focus more on fewer things, especially photography. At times I was really missing the free-spirited feeling on being outdoors and on the road, experiencing new places and get inspired by them while trying to capture the essence of those places. 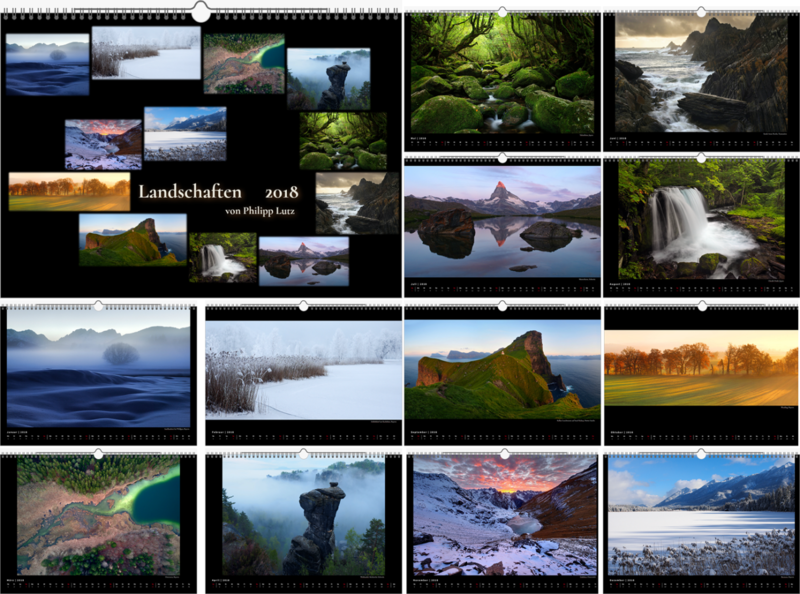 That’s why I want to give a big shout-out to my friend Alexander Otto who has been such a great company and source of inspiration during all my big photo trips this year, to Tenerife in late March, to the Alps in July and to the US South-west in October. Who knows, without him and his constant drive to explore new places I might have not done many photo trips by myself this year. Last year I was writing that it might take a couple of months to catch up with processing of my shots from Japan, Australia and Tasmania from 2017, I could not have been more optimistic, I think I barely processed a half of the shots yet. The same goes for my shots from 2018, that’s why I have to cheat a little bit this year and probably next year with my top 10 photos of the year. For this years’ photos I considered also photos from 2017 which I was only able to process this year. When I look at my abstract architecture prints hanging above my TV I feel really sad that I again didn’t shoot anything like that this year and for 2 years in a row already. I really hope I get to do this next year again, I already have plenty of places in mind which I want to experiment with. On a perfect winter day last year I was going for a long walk in the mountains. 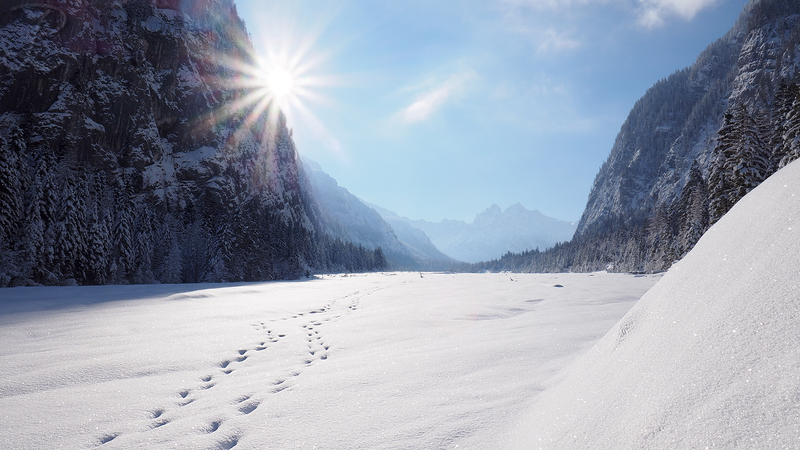 The deep snow was cracking under my feet, the sun was kissing my face and I could see every breath in the ice-cold air. I'm looking forward to get such nice conditions this year as well! 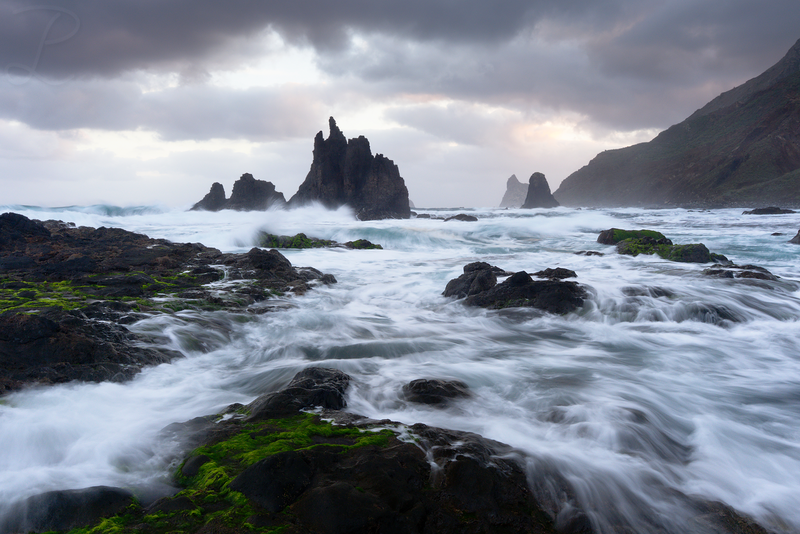 After a long break I eventually was able to start processing the pictures from my last photo journey, where I was visiting the island of Tenerife together with my buddy Alex. I took this picture on one of my favourite spots in the north of the island and because I didn't take seascape shots for such a long time this felt like pure bliss, being out and about at the wild sea, smelling the salty air and feeling the raw power of the waves rolling in. We almost spend two hours staying at huge rocks next to the beach soaking in the scenery and sometimes also salty water from big waves which we didn't anticipate. In the end we had to get our feet wet because it was getting high tide and there was already a small stream of water between the rocks and the beach which cut off our way back. During our trip on Tenerife my friend Alex and I experienced an interesting weather phenomenon which is called Calima and means that sand from the Sahara desert is carried by windstreams all the way to the Canary Islands. This phenomenon is noticeable by very hazy and yellowish haze. On the first evening where we could notice the phenomenon we got an incredible colourful sunset, no matter in which direction you looked, the sky just exploded of colours, it was definitely my most intense sunset for this year so far. 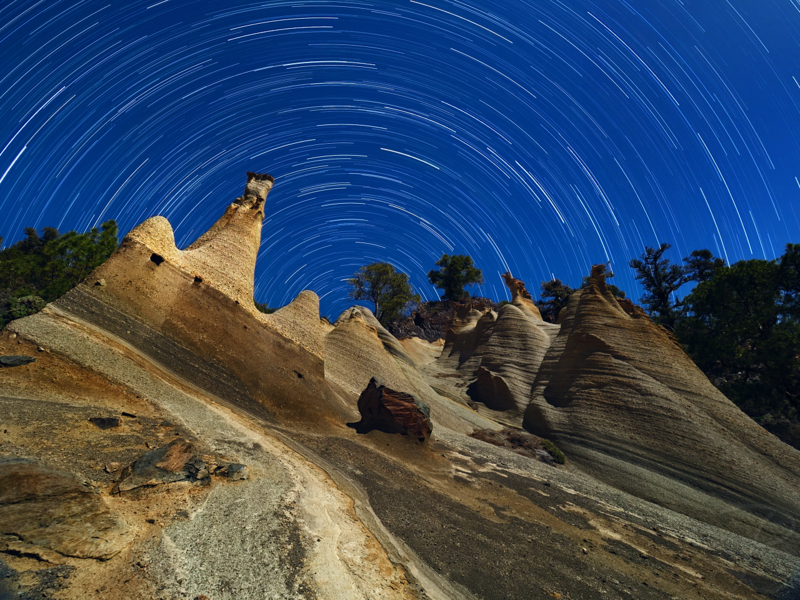 While we've been in the beautiful and otherworldly Cañadas area, we could literally capture Mt. 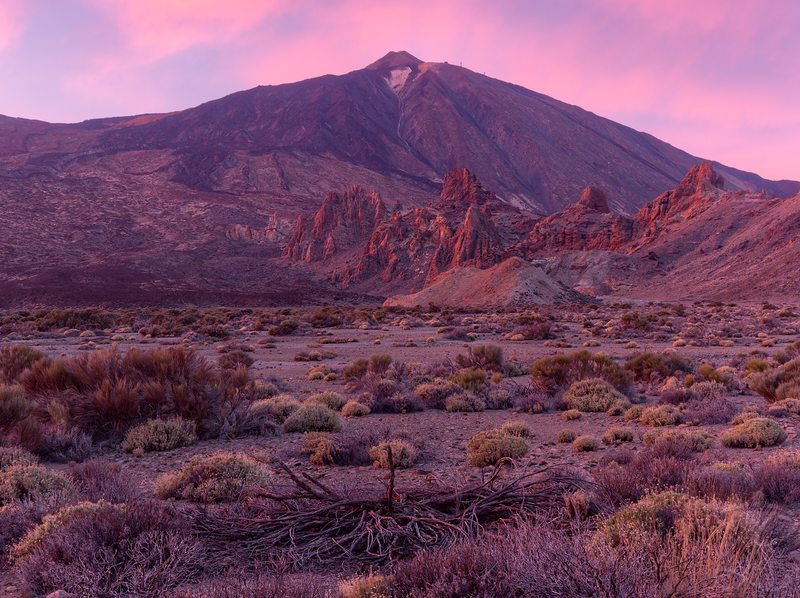 Teide catching fire from the sky. Now I'm not sure whether the Calima was responsible for such an incredible sunset because the days after all sunrises and sunsets were quite unspectacular. Let me know if you're a weather expert and you can help me out. I'm slowly catching up with pictures from the last year. By the way, I wish everybody a happy new year and hope they head a great time on new years eve! This is one from the annual trip to the Alps with my friend Alex in August! 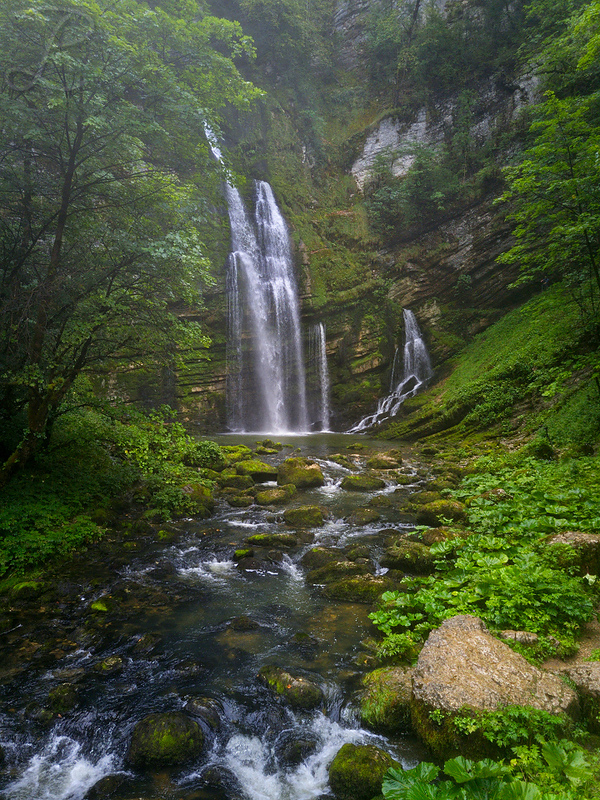 Actually, because the weather was so bad in the Alps, we decided to make the best out of the trip and went to the French Jura Mountains in the hope to get some beautiful waterfall scenery in front of our cameras. We got quite lucky with this spot which was the first place we visited, however all other places did not work out, because there was hardly any water in the rivers. Phototrips are always full of surprises, positive as well as negative ones. I guess this is what makes it so exciting for me! Seasons have a temporary nature. The joy I experience in every season is also temporary and will transition into something else in the new season. 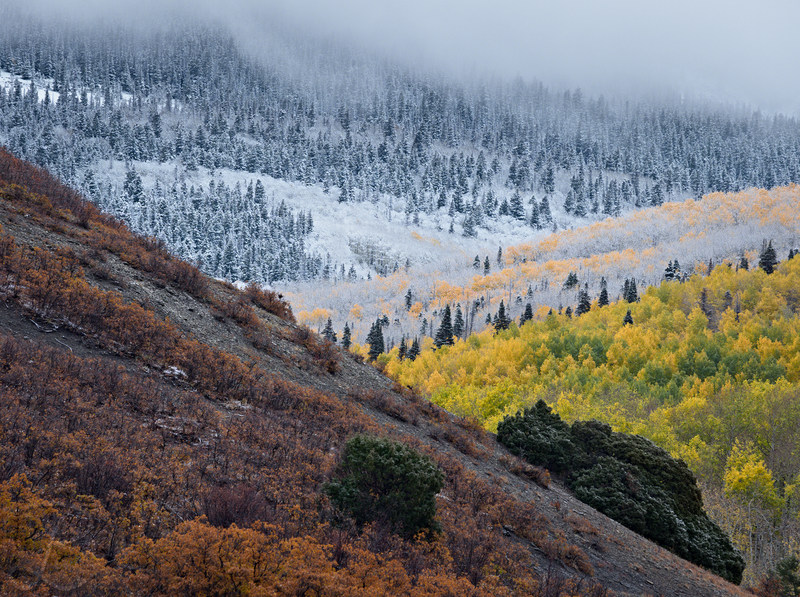 Therefore, at first, a change of season is seen as disruptive. 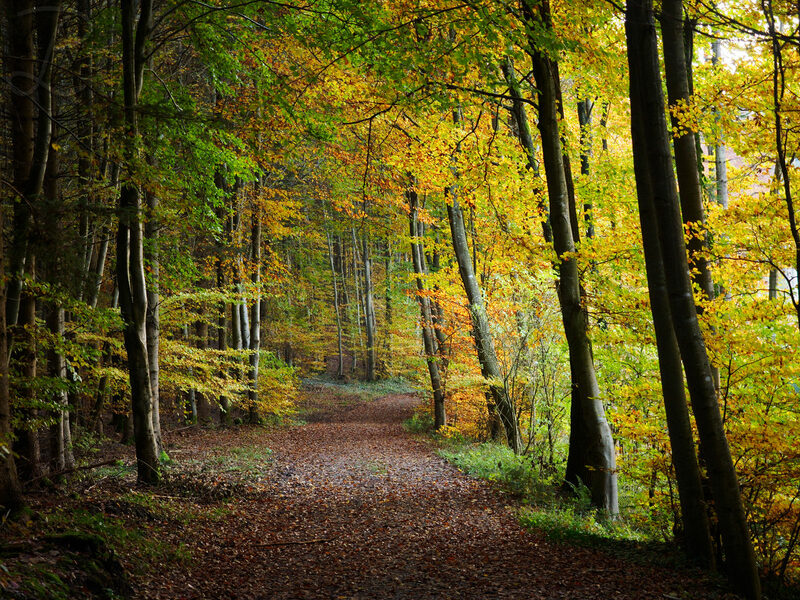 However, witnessing a change of season in nature can be very aesthetic and should symbolise the beauty of change, that means still seeing the good things which are left from the previous season and already get an outlook what's on next. I've always wanted to capture that in a photo and during my trip to the Southwest in the US I was finally able to get a picture with autumnal foliage and snow in one frame. It was my first time visiting the south-west of the US with my buddy Alex and that's how I imagined the "wild west" in a nutshell. After having seen plenty of western movies together with my dad when I was a child and only recently while watching Westworld I had this particular image in my mind. 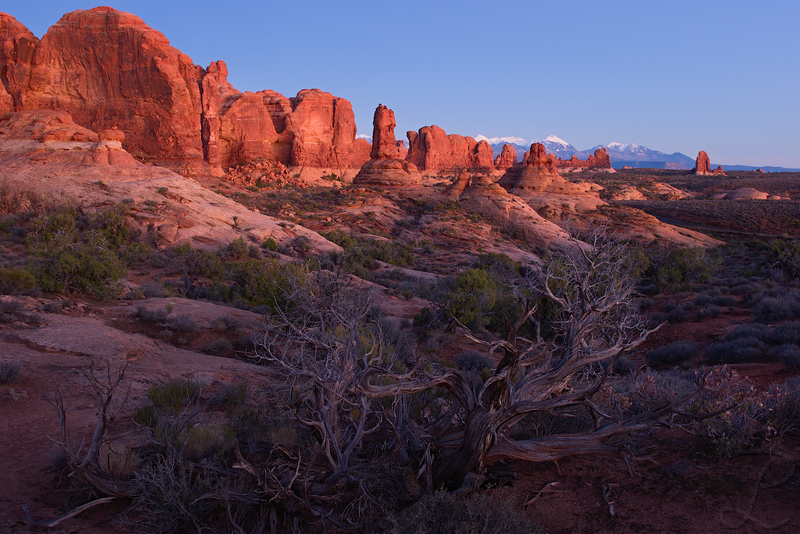 This picture was captured way after sunset during a very impressive blue hour, the rocks kept glowing for over 20 minutes after the sun had set. I was glad I got away with a satisfying image before I laid down in the car, because I had a bad cold and urgently needed some rest after driving and walking around all day long. The satisfying feeling of having experienced such beautiful landscapes and even gotten away with a nice image really helped sleeping in. This is a shot from a late autumn hike last year where we just had as good weather like these days, but unfortunately I didn't get any good shots this year. 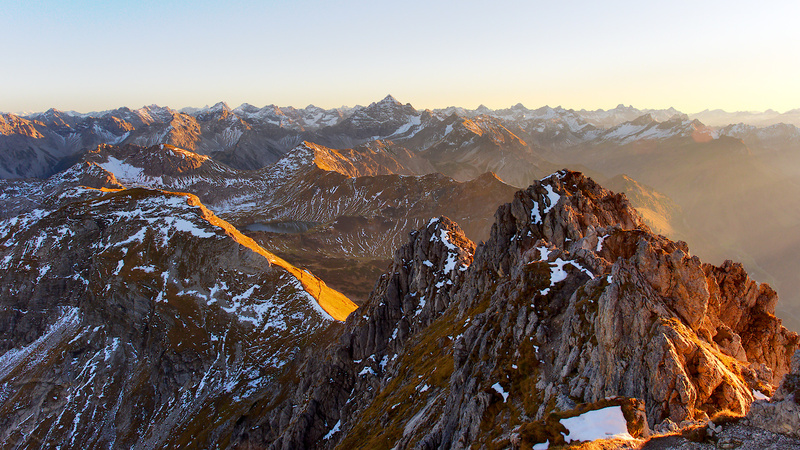 It is always such a spectacular experience when see the setting sun emphasising the already beautiful mountain ranges and giving away the last warm bits before a cold night high up. Actually on this trip at the end of October I experienced an unusual warm night at around 2000m of altitude, not going much below 10°C. 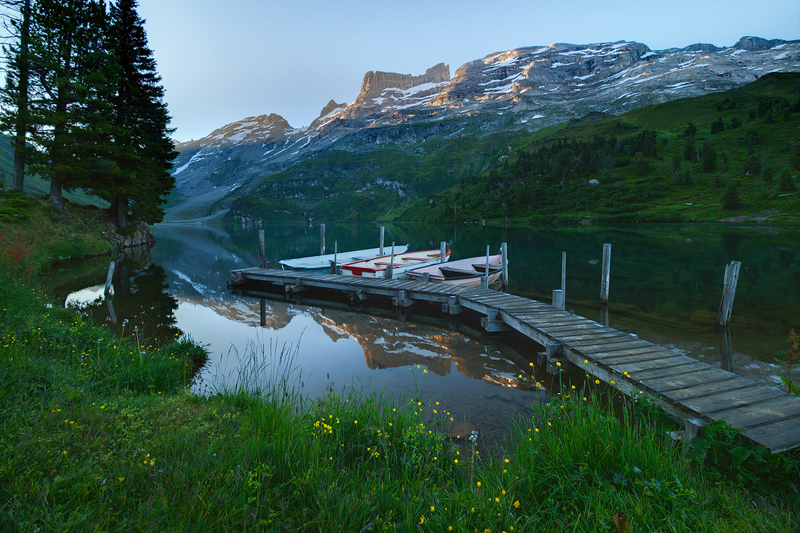 During our last annual trip to the Alps, my friend Alex and I drove to a lake in the Swiss Alps we scouted earlier on GoogleEarth and were surprised how beautiful it really was. On the lake shore there were cosy benches and fireplaces with firewood next to them. It was simply too inviting to not spend a night by the campfire. We were also surprised to bump into Roland Gerth there again, whom we only met briefly one day earlier somewhere else. This time we had more time to chat and exchange thoughts about landscape photography. 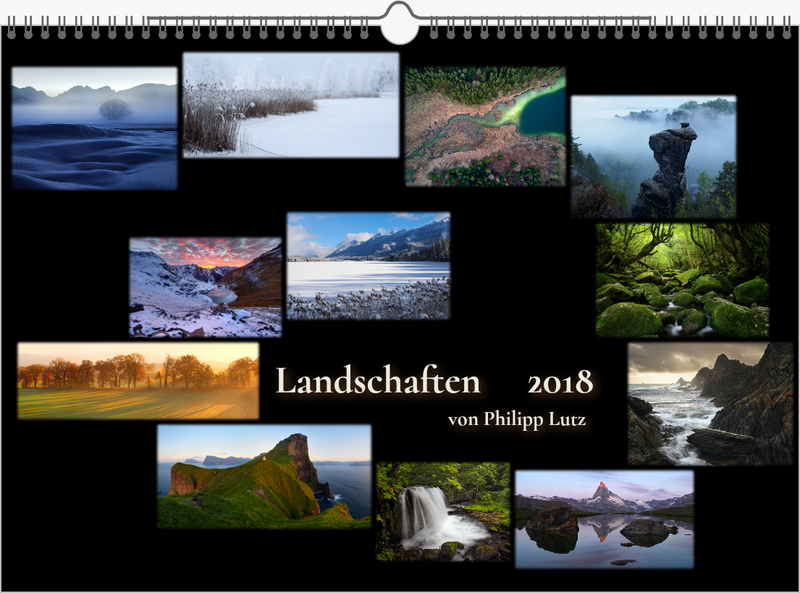 This entry was posted in New Pictures, News and tagged ad aspera ad astra, allgäu, american rockies, american rocky mountains, australia, best images, best images from last year, beste bilder, beste bilder vom letzten jahr, boats, bötlis, colorado, jetty, jura, jura mountains, Lake, mountains, neues jahr, new year, recapitulation, recaptiulate, resümee, rocky mountains, swiss alps, switzerland, tasmania, teide, tenerife, top 10 images, top 10 images from last year on 31/12/2018 by phil. Guess what, there will be a calendar for next year again! As per usual I’m pretty late with the completion, but I eventually decided to do one also for next year. So if you’re interested or already looking for Christmas gifts go ahead and drop me a message. It’s a matte print on premium paper in A3 format. It will be 20€ for the calendar + 4€ shipping (DE). If you live outside of Germany just ask me for the shipping costs. This entry was posted in Calendar, Nature & Landscape, News on 01/12/2018 by phil. Remember my post 2 years ago about the past Sirui tripod repairs? I had to send in my already discontinued Sirui M-3204X tripod again! 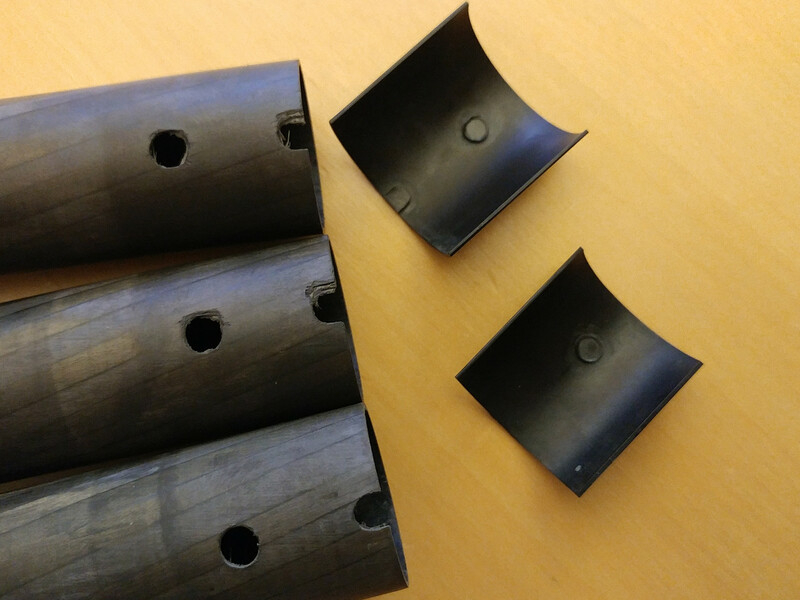 The half shells / shims – which are part of the inner sliding mechanism seem to have easily gotten out of their place and as a result the whole sliding mechanism didn’t move smoothly anymore or even would block completely. Back then I sent in the tripod for repairs and received it back with fresh half shells / shims and on one leg Sirui even replaced the top-most sliding element because the notches where the half shells / shims sit on were already fringed which makes the fit between the leg element and the half shells / shims quite loose. 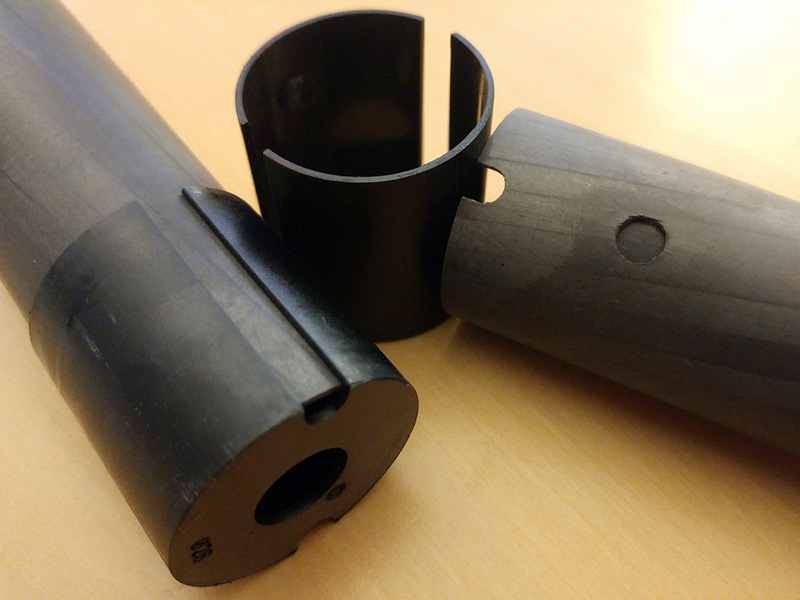 In the picture above you see the difference between the replaced leg segment (bottom) and the old ones, where the notches are clearly fringed. I’m glad that Sirui didn’t charge for the repairs. You can clearly see that the the leg segments have been exchanged by new ones where the notches are fresh and sharp. Also the shape of their sliding shim / shell changed noticeably. I guess this construction makes way more sense because it fits and sits well on the end of the leg segments without any play in either direction. I’m actually curious whether Sirui already uses this kind of sliding mechanism for their more up-to-date tripods. Can anybody confirm? This entry was posted in Equipment, News and tagged half-shells, leg segments, M-3204X, repairs, shims, sirui, sirui M-3204X, sirui tripod, sliding blocked, sliding shell, Tripod on 19/06/2018 by phil. 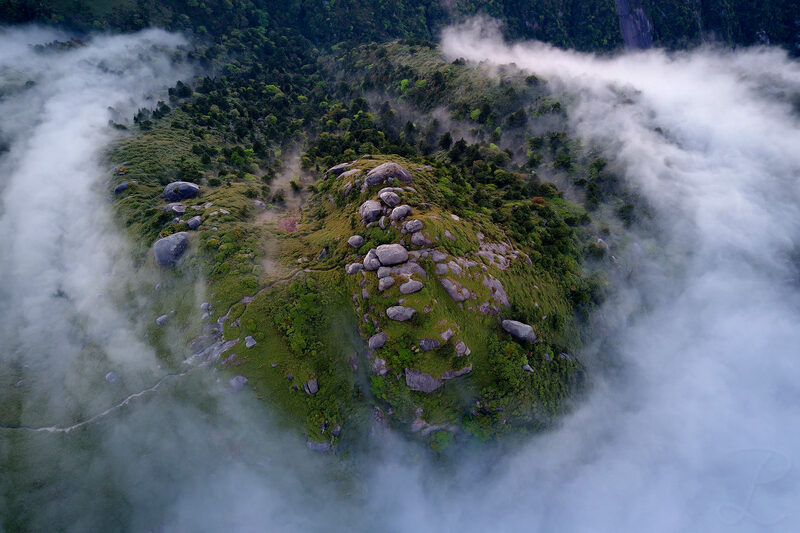 This entry was posted in Aerial Photography, Features / publications, Nature & Landscape, News and tagged alexander otto, australia, australien, interview, landscape photography podcast, landschaftsfotografie, landschaftsfotografie podcast, podcast, tasmania, tasmanien on 06/06/2018 by phil. 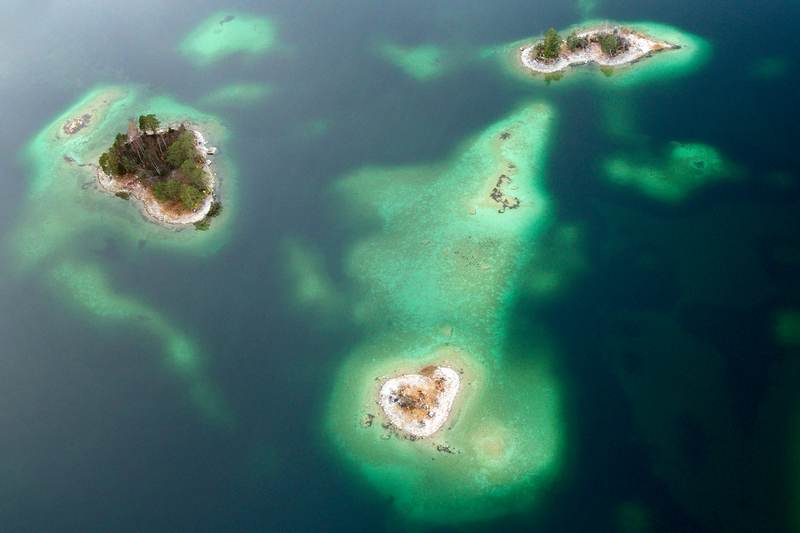 Once in a while I wanted to update my landscape aerial gallery because it’s long due! Nature is a really inspiring painter. It keeps changing its canvas slightly on a daily basis. 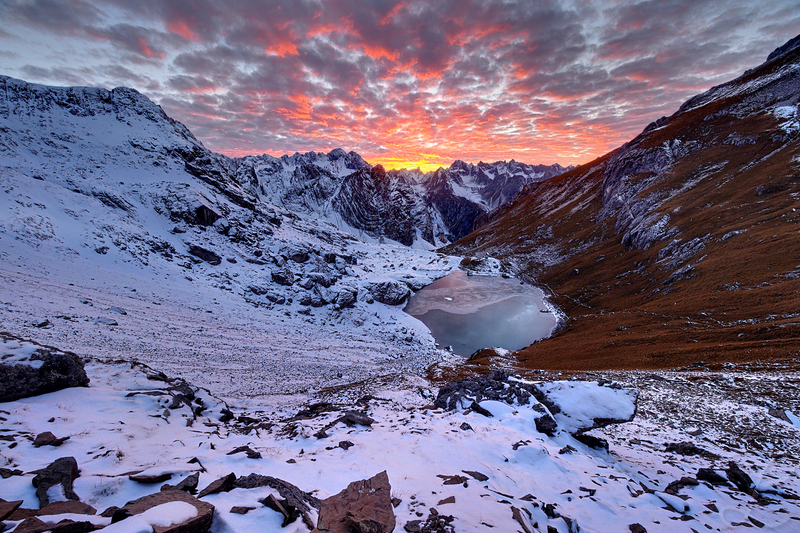 Those canvases inspire us landscape photographers to see and freeze the display of beauty. In this example there is a nice complementary mix between red/brown hues from autumn/winter and fresh greens from early spring. I'm quite sure this very picture wouldn't work as nicely once spring will transform everything into lush greens. In fact, there is a dedicated season for every aesthetic highlight artists like photographers are interested in. As a landscape photographer I really like how this ever-changing canvas creates this synchronisation or connection with nature, which is based on visual stimuli and goes beyond the normal consciousness of time and the change of seasons. At least for me this connection has been dictating my holiday dates and trip destinations for the last couple of years. It's always interesting to see how water leaves its "scars" in mother nature, which is especially apparent in the mountains. However this is just a minor display of this effect, glaciers are a by far more massive display of erosion. 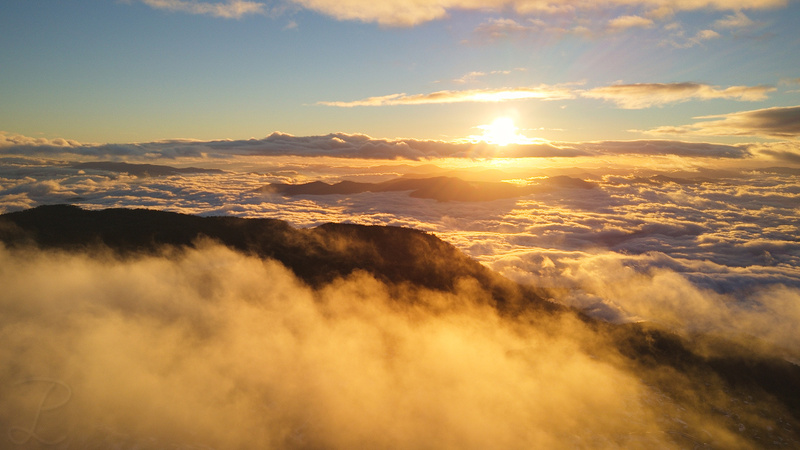 The amount of early morning clouds and fog was enormous during my visit at the Mount Buffalo national park in Australia! 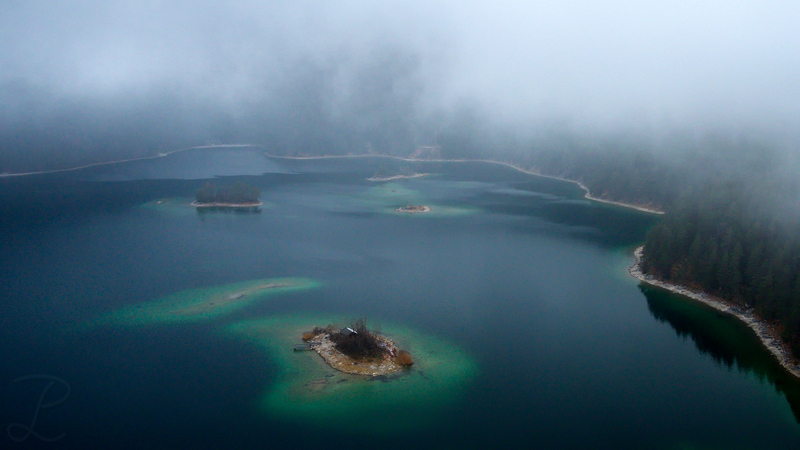 Before the fog rolled away you could only enjoy the view from high above. 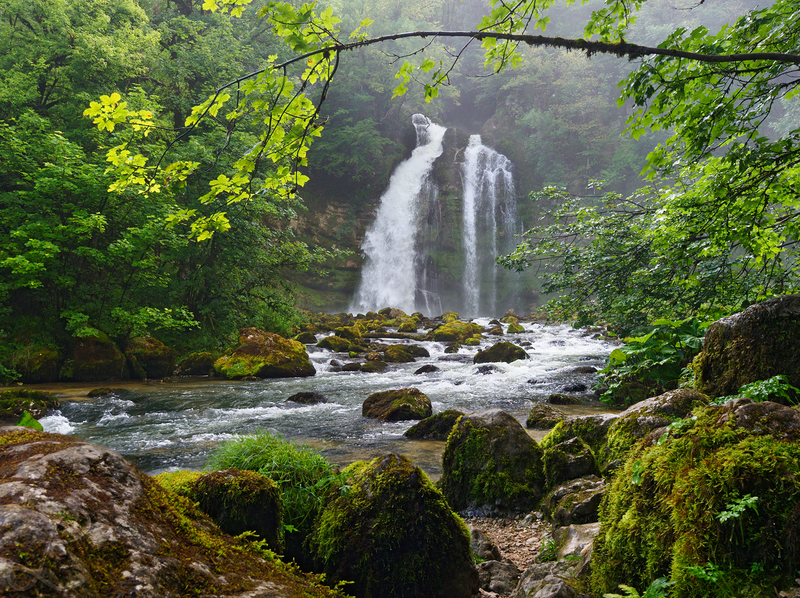 Can you feel and hear the soothing sound of rushing water? For me that has a meditative feeling to it! During our last annual trip to the Alps my friend Alex and I experienced mostly overcast weather with heavy clouds. 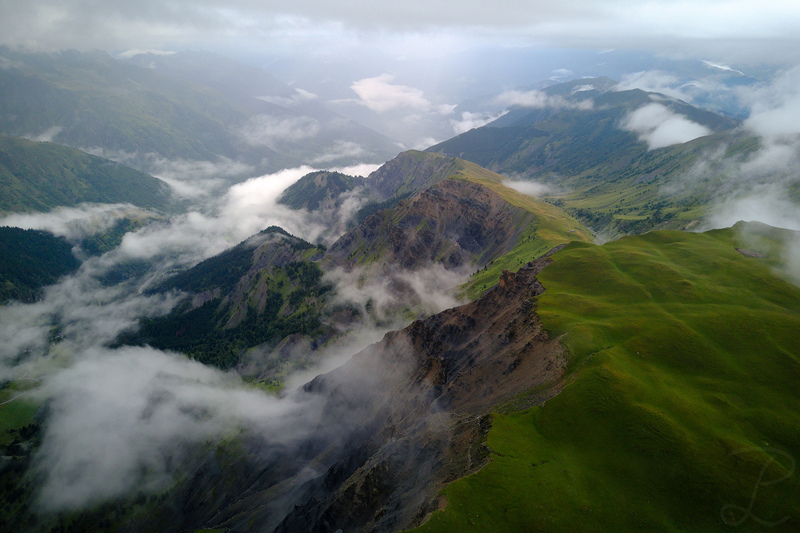 Despite minor frustration about the weather this aerial view from the French Alps shows the advantages of this weather, some very moody atmosphere! Every time I'm exposed to volcanism it's so fascinating for me. It gives the area a very interesting and distinct shape and due to the mix of minerals which were part of the ejecta different plants grow on the surface, which gives the area also a distinct colour. It's the kind of natural art which impresses me the most! 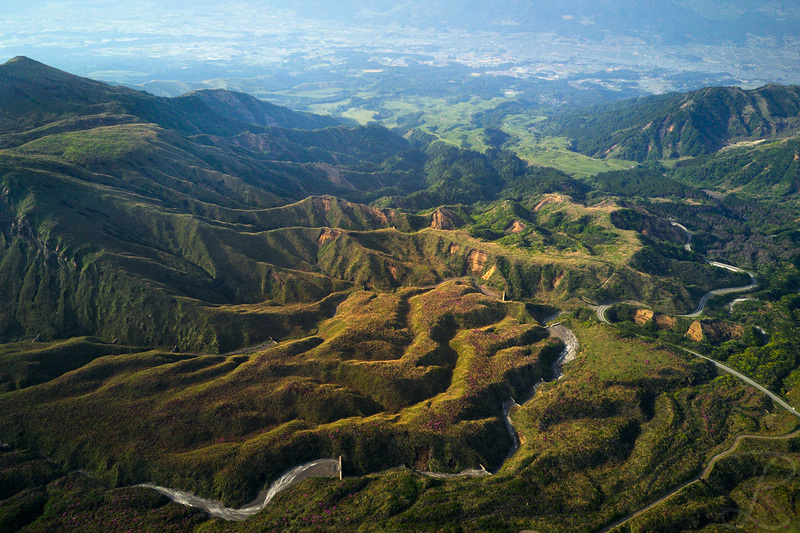 This aerial picture was taken around Mount Aso in Japan. On the first day of our roadtrip on Kyushu (southernmost main-island of Japan) my friend Alex and I were blessed with a beautiful sunrise, one of very few unfortunately. This is an aerial view over the south-east of Kyushu, seen from the southern tip at Cape Sata. Only when I saw this view myself I noticed how mountainous Japan really was. 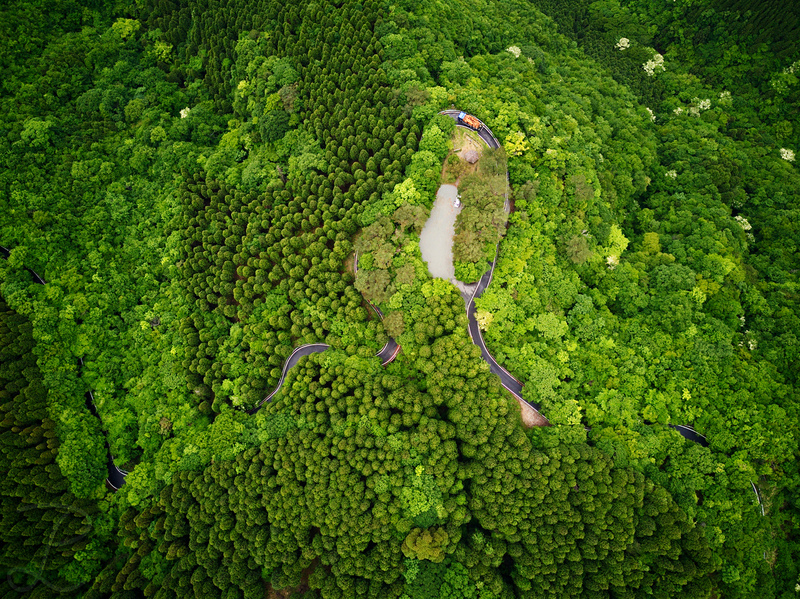 The following days we learned this fact the hard way by driving over dangerous single-way mountain roads for hours, sometimes blocked by recently fallen rocks, caused by ordinary slides or minor earthquakes. During our four day hike on Yakushima in Japan my friend Alex and I got surrounded by fog! Below one of those big boulders I found shelter over the night. 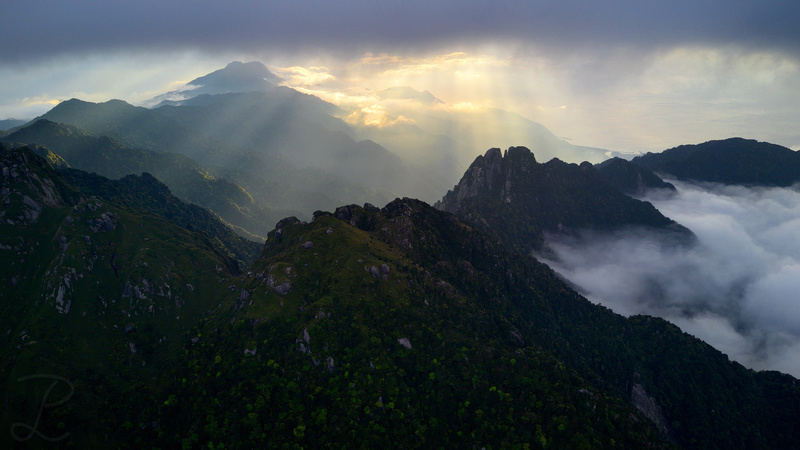 Only on the 3rd day of our 4 day long hike on Yakushima my friend NicolasAlexanderOtto and me got lucky with the weather conditions for sunset shooting despite the wet and dull weather during the whole day and the day before. We were also lucky to have stopped hiking early to search for a suitable place to stay overnight on that particular day. Just when I finished building up my night camp the sky broke open. 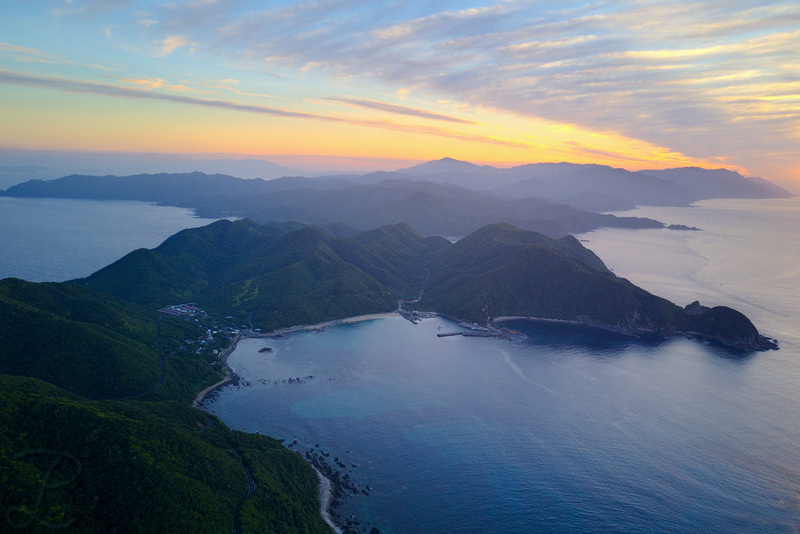 This is an aerial shot towards Miyanoura on the northeastern coast of Yakushima. 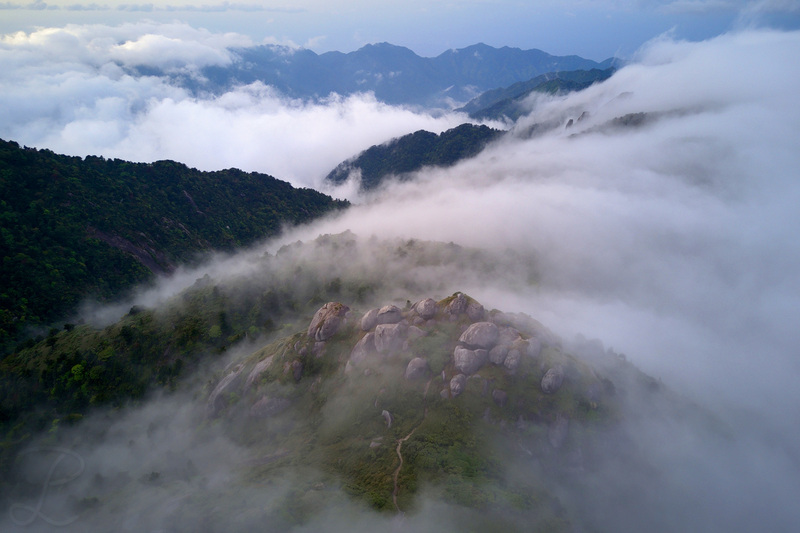 During our hike on Yakushima in Japan Alex and me experienced beautiful low hanging clouds constantly moving in and out, it even lasted until sunset which was happening only 30min after taking from this shot. 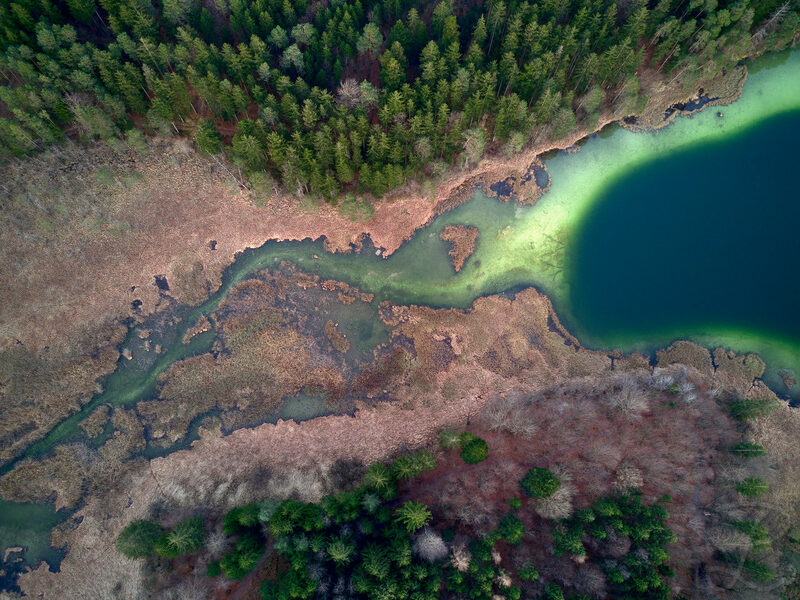 This entry was posted in Aerial Photography, Nature & Landscape, New Pictures, News and tagged aerials, alps, bavaria, eibsee, fog kingdom, french alps, japan, jura, jura mountains, karwendel, kyushu, kyushuu, miyanora dake, mount aso, mt. 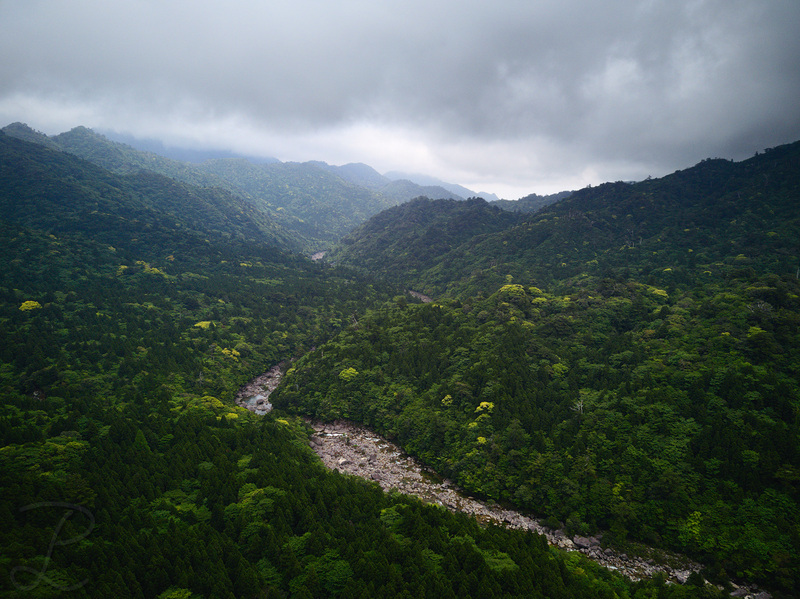 aso, osterseen, volcano, yakushima on 25/05/2018 by phil. It will be 20€ for the calendar + 4€ shipping (DE). If you live outside of Germany just ask me for the shipping. If you’re interested just drop me a message at contact@philipp-lutz.net. This entry was posted in Calendar, Nature & Landscape, News on 10/12/2017 by phil. New pictures in the galleries! 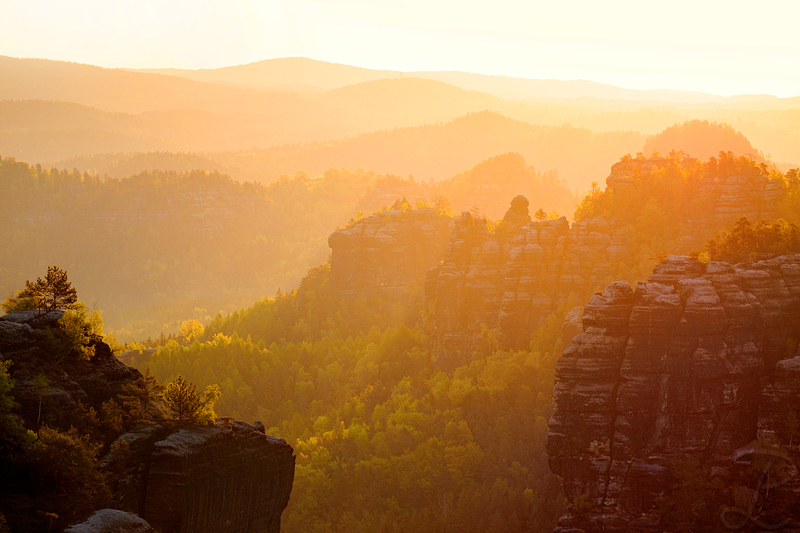 Last May I went on a short trip to the Elbsandsteingebirge - Sächsische Schweiz national park together with my friends Jan and Alex. 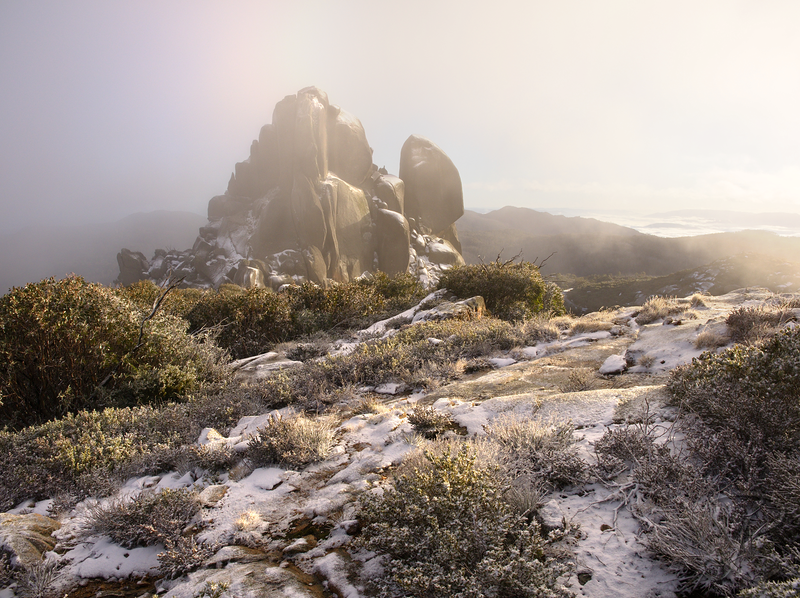 We were quite lucky with the overall weather conditions, we had plenty of fog and sunsets and sunrises which were not too bad. This picture has been taken on the most beautiful morning during the time we've been there, the landscape was literally flooded by warm light. I guess I'll look at this picture more often in the next couple of weeks when the weather here in Germany turns cold and gloomy. This is a memory how autumn looked like close to my home in late October, now almost all trees have lost their leaves and winter has taken over. Everything looks bleak now, hence I can't wait for plenty of snow 😉 Are you already looking forward for winter? 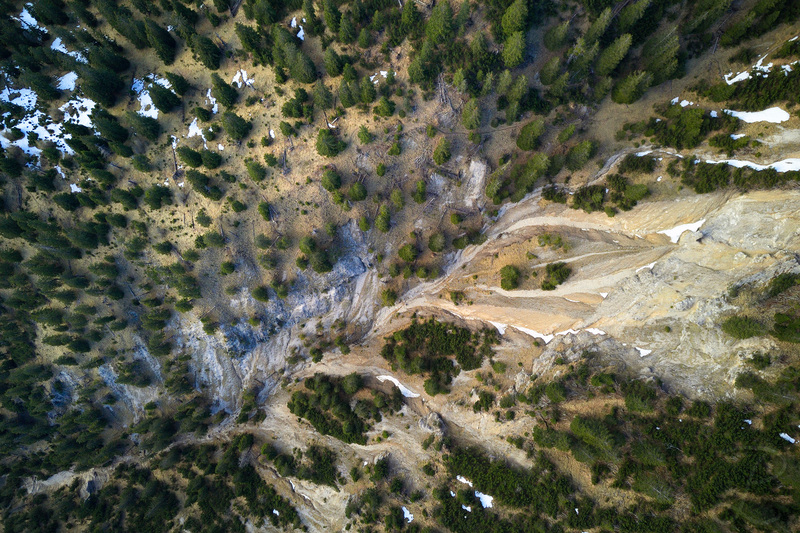 This is a rather abstract view from my last hike in the alps. 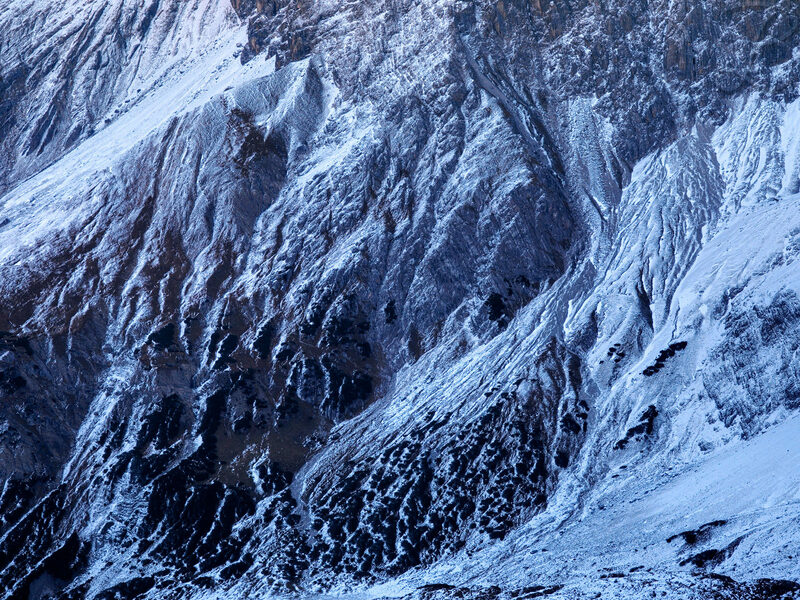 I liked how the gentle snow cover and the soft and fading dusk light emphasized the structure on the mountain surface. This entry was posted in Nature & Landscape, New Pictures, News and tagged alps on 15/08/2017 by phil. New Calendar for 2017 arrived! 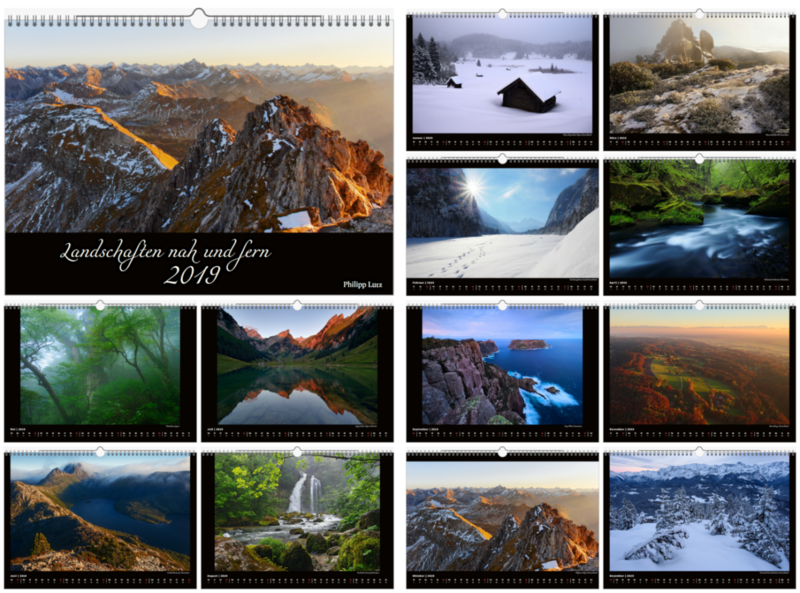 I’ll sell the calendars on matte photo paper version for 16€ and the ones on fine art paper for 21€ per piece. Shipping costs may vary of course. In case you’re interested just drop me a message at contact@philipp-lutz.net. This entry was posted in Calendar, Nature & Landscape, News on 05/11/2016 by phil. 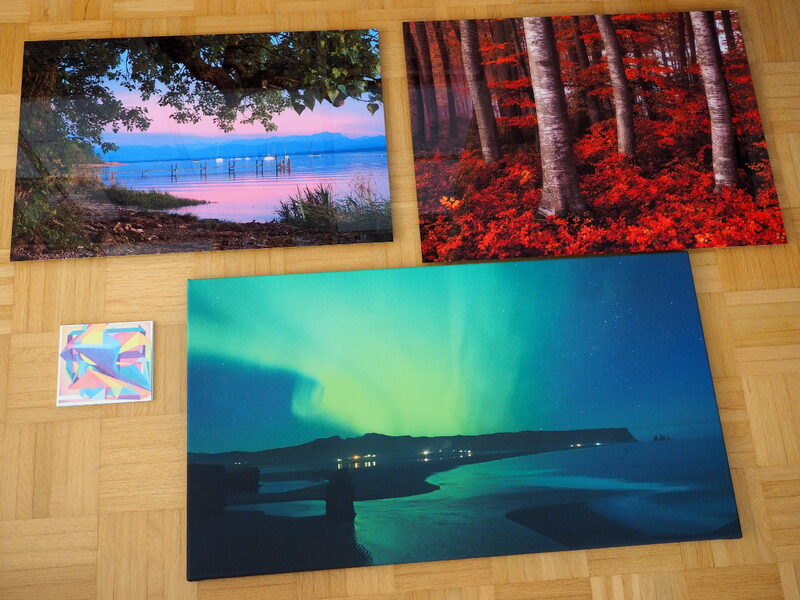 Some weeks ago I received new prints. It’s a good mix of colourful landscapes and abstract modern architecture prints. 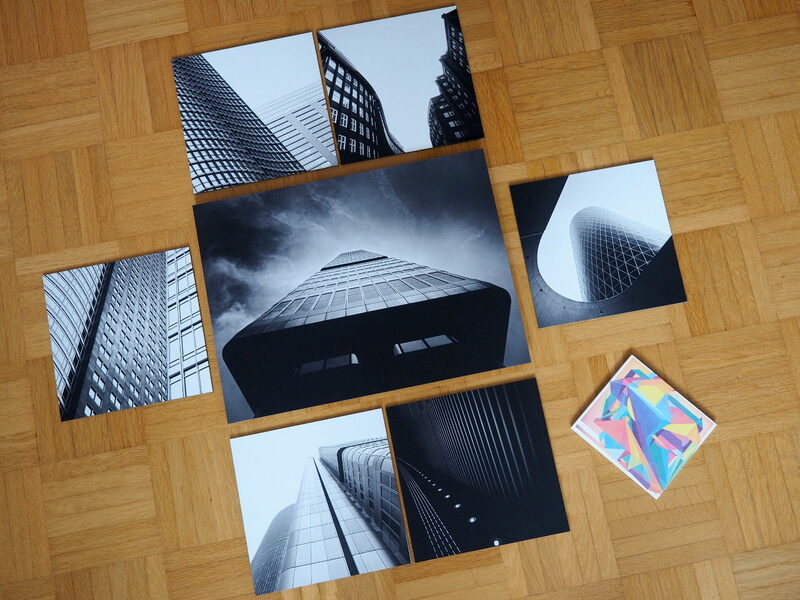 I had the idea to create a little abstract b/w square gallery at home, hence the many squares. For that I might have to clean one of the walls first, they are already full of prints, so I might sell some of them later. The second image shows a print on fabric and the third image shows normal alu-dibon prints. 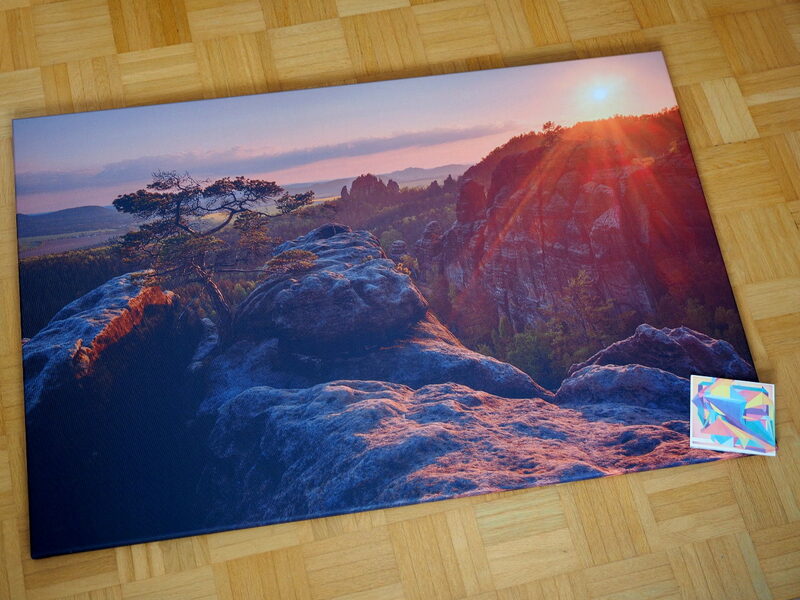 Thank you WhiteWall for providing such high quality prints, I really love those HD metal alu-dibond prints! This entry was posted in News and tagged alu-dibond, aludibond, canvas, canvas print, colourful, dibond, drucke, fabric, fabric print, hd metal alu-dibond, hd metal print, intervals, prints, the shape of colour, white wall, whitewall on 14/09/2016 by phil.